Vadodara traffic police is making efforts to sensitise the residents to follow the rules with new initiatives. Maintaining the transparency the department issues e memos to the people violates traffic rules. However a e memo to the Sikh rider by the department created a row over exemption of wearing helmets during driving. 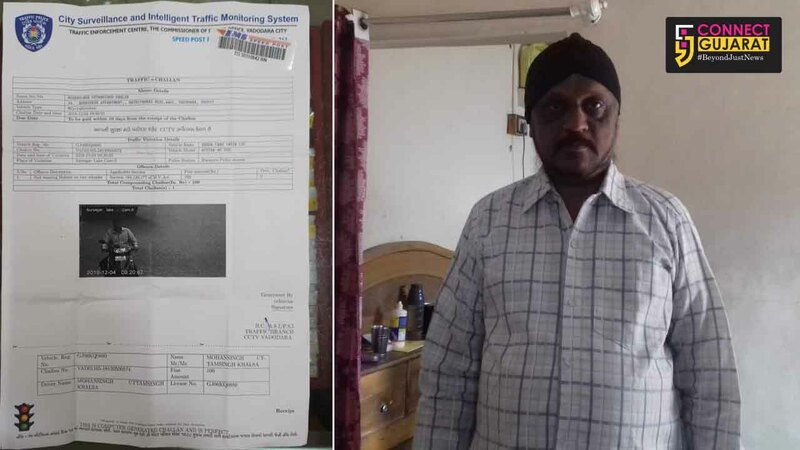 With the help of cctv cameras the traffic department is keeping a watch on the violations and sending e memos to them at their registered addresses. However such a fine was imposed on a Sikh wearing turban creates row over the exemption in the law. A resident of Wadi Mohansingh Khalsa received the e memo from the traffic department for not wearing the helmet. He was surprised as Sikhs wearing turbans are exempted from wearing helmets. However he deposited the fine of 100 and request the department to exhempt people like him from wearing helmets. DCP traffic Yashpal Jaganiya said Sikhs wearing turbans are getting exemption from wearing helmets and if he deposited the amount it will be refunded. In future the department will take note of it.